I know this very stylish beauty blogger Meredith who always has amazing looking nails. One night at an event I finally asked her about them and she says she gets them done at Polish’d Nail Bar in Toronto. So, with imitation being the finest form of flatter in mind I went and got mine done. From then on I was hooked. 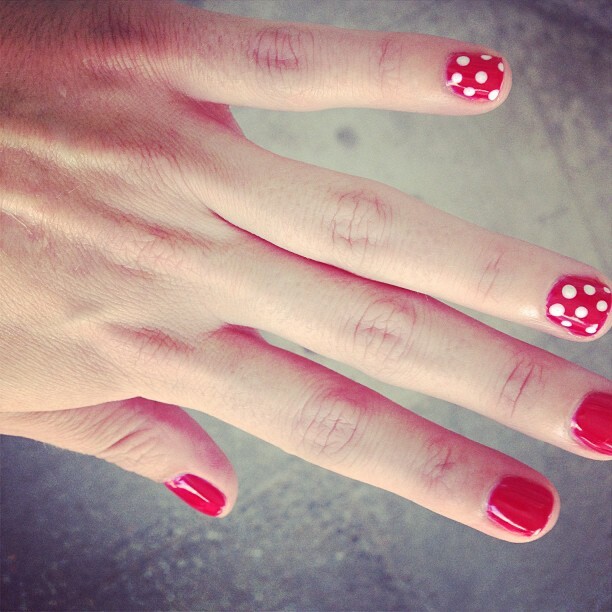 Now shellac or gel manicures are pricier than regular manicures. However they are totally worth it because they are said to last up to 2 week (really mine last about a week since I’m apparently really hard on my nails). They also add strength to the nail, which for someone like me who has such weak nails is great. I’ve always been jealous of people with nice long nails .. mine always rip off (ouch). So what what to do? 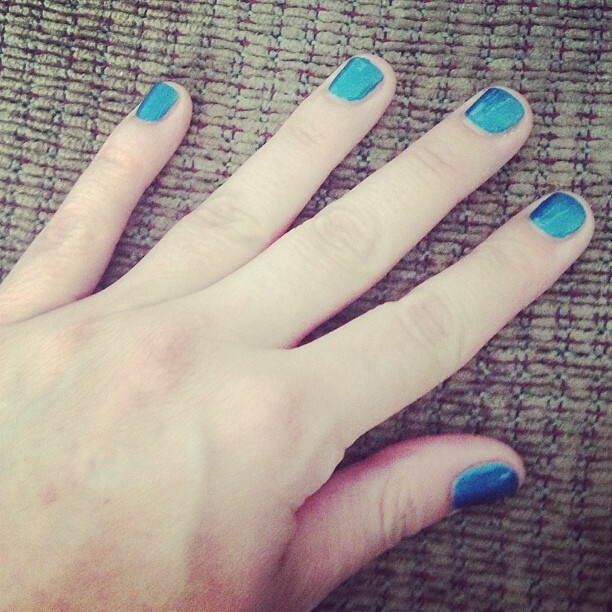 Now that I was hooked on funky fun and strong nails, giving that up was not an option. So I went to Shoppers Drug Mart (next to pubs I’d say Shoppers is a home away from home) and picked myself up the Sally Hansen Gel Nail Kit and some Salon Insta-Gel Strips. Gel Nail done by yours truly! I love being able to do my own nails. They lasted longer than Bubble Bath Spa and, for the first attempt, I think are only slightly worse off then what I got from Polish’d. I think with some practice I can become a pro! Also this is affordable…once the kit is bought the expense is just picking up the colors and/or strips. This will be what my Optimum points are going to go towards from now on. So if you are addicted to having awesome nails, or have crappy nails like me and want to be able to provide strength to them and grow, I definitely suggest getting a gel nail kit. The only down side is that the LED light doesn’t dry them as quick as they claim. Took me a few minutes instead of the 30 seconds on the instructions. However adding a little time to the process to save money is totally worth it to me! This entry was posted in Beauty and tagged beauty, gel nails, manicure, Nail Art, polish, Sally Hansen by maldham. Bookmark the permalink. Lovely! I really like the designs! Thanks – they’re fun. 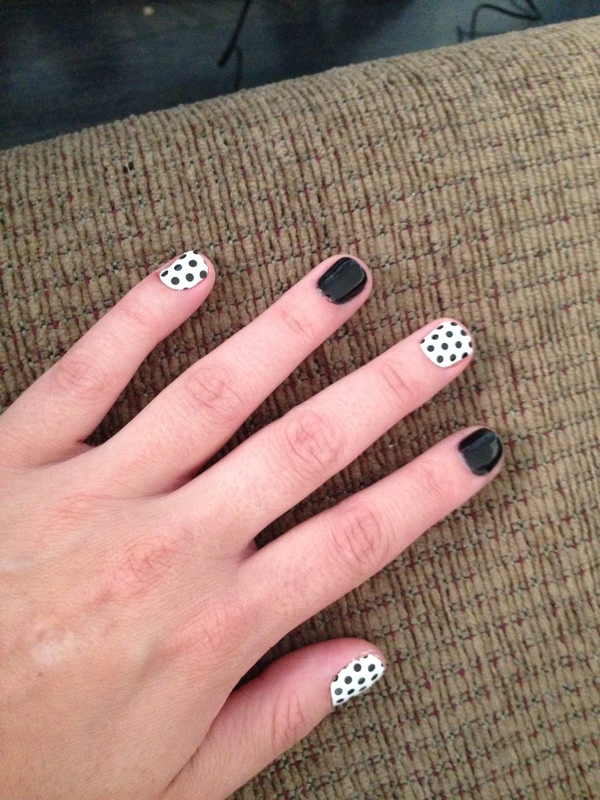 Even you are aren’t a fan or in need of gel nails they have regular nail art strips. I find it handy because I’m messy when painting my nails so tossing in a funky strip or 2 takes the pressure off of not painting my entire finger (seriously I have the fine motor skills of a toddler). I pay a visit everyday some weeb sites and blogs tto read posts, however this weblog presents quality based content.